"Few poets are able to make the physical moment so central both to the action of a poem and its symbolism. Often the physical nature of place suffers as a result of a poet's attention to symbol. James McConalogue avoids these pitfalls. His poems are alternately extremely modern and intentionally archaic - he invests them all with a formal precision and wit (in the old sense) that never tires you." to brush against its toes. for the pleasure of linen moonlight. its soul sleeping in its bed. wake as a newborn child. 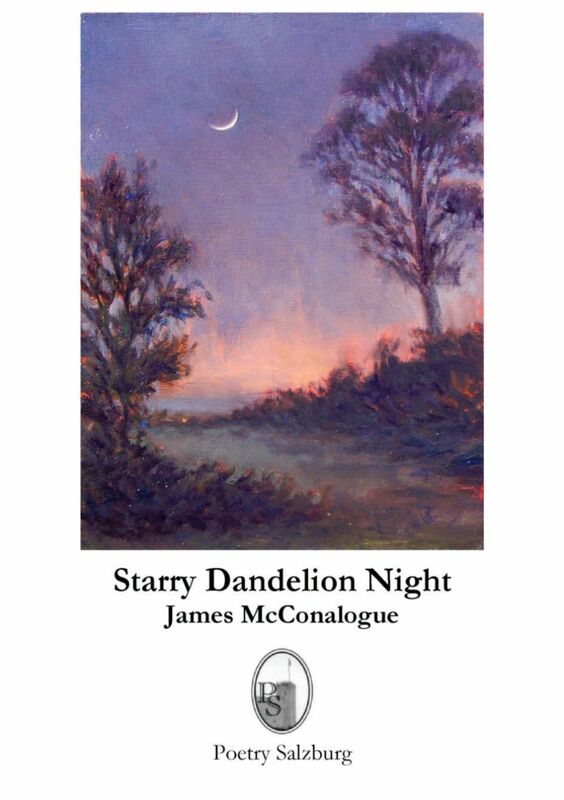 "A first collection, Starry Dandelion Night shows signs of real and distinctive promise [...]. At his best, McConalogue achieves a genuine note of lyricism (e.g. 'C.A.S.E.Y. '); his indebtness to both Auden and Muldoon is clear, but there are also passages of very decent Dylan Thomas inspired writing. [...] There are plenty of things to enjoy here and I suspect that future collections will be even better." Glyn Pursglove, "Words and Images", Acumen 60 (January 2008), 119-120.